The US is releasing Balance of Trade along with Europe publishing Retail Sales. The support rests at 1.08760 with resistance at 1.09040 which both lines are above the monthly pivot point at 1.08040. The EMA of 10 is moving with bearish but it is above the EMA of 100 and the EMA of 200. The RSI is moving horizontally on the 50 level, the Stochastic is moving in low ranges and the MACD indicator is in neutral territory. The ADX is showing sell signals. 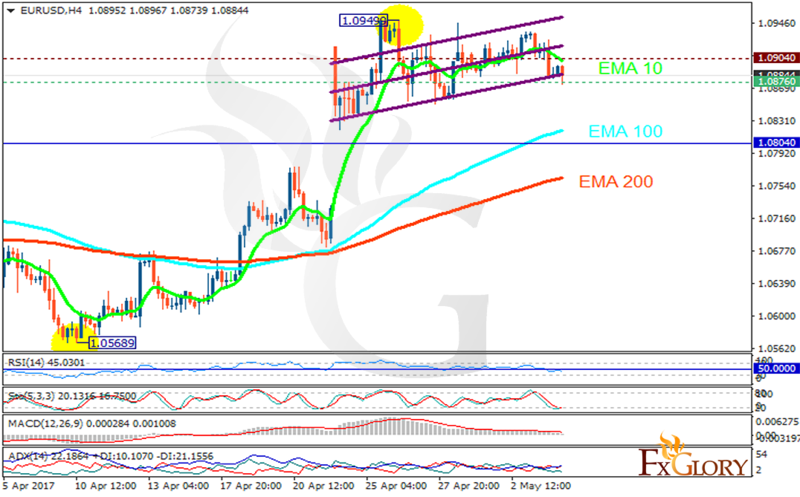 EURUSD has been choppy since 25th of April, the fluctuation will continue within the 1.0850 and 1.0950 levels.